In an electric mixer with a paddle attachment, beat the butter on medium speed until it is a thick, smooth paste. Sift in the icing sugar then add the almond meal, desiccated coconut and the egg and mix to combine. Add the flour, baking powder and salt and mix to combine until it comes together. Wrap in plastic wrap and place it in the refrigerator to rest for 1 hour, until firm. Preheat the oven to 160°C (315°F). Place eight individual 8 cm (3 1/4 inch) tart rings on a baking tray lined with baking paper. Roll out the dough on a lightly dusted work surface to a thickness of 3 mm (1/8 inch) then line each tart ring with the rolled pastry. Place a large paper case in each tart ring and fill with uncooked rice. Blind bake for approximately 6 minutes, then remove the rice and paper case and bake the tarts for a further 6 minutes or until light golden brown. You can freeze them, baking them as needed. Remove the tarts from the oven, allow to cool and then remove the tart rings. The baked tarts can be made up to 3 days in advance and stored in an airtight container at room temperature. Put the cream (a), coconut cream and vanilla bean paste in a saucepan over medium heat and bring to the boil. 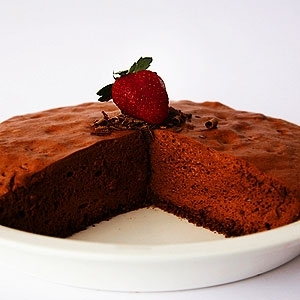 Pour the hot mixture over the chocolate, whisking by hand until the chocolate is melted and completely combined with the cream, creating a ganache. Place the cream (b) in a chilled bowl and whisk to a semi-whipped consistency. Immediately and gently fold the semi-whipped cream through the ganache by hand until combined. Soak the gelatine sheets in a bowl of iced water and, once pliable, gently squeeze the sheets to remove any excess water. Set the sheets aside and leave at room temperature. If using the powder, sprinkle it over a bowl containing 30 ml (1 fl oz/1 1/2 tablespoons) cold water. 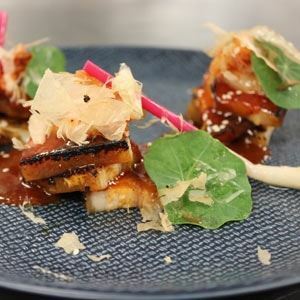 Leave at room temperature until needed. Combine the frozen raspberries with the sugar in a saucepan over medium heat. Cook until the sugar is dissolved and the mixture comes to a gentle boil. Remove from the heat and add the gelatine, stirring until it is dissolved and combined. Evenly divide the raspberry jelly into the base of each cooled tart. Spoon in the prepared chocolate mousse on top of the raspberry jelly to fill the tarts. Create a rough texture on the surface of the tart. 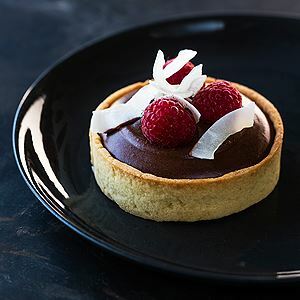 Dust each tart with cocoa powder and garnish with shaved coconut and fresh raspberries. Eat immediately or store in the refrigerator for up to 24 hours. 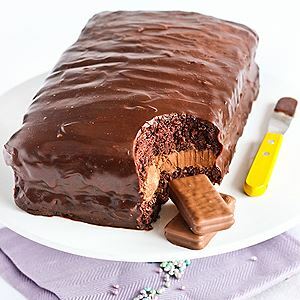 Credits: Recipes and Images from Chocolate by Kirsten Tibballs (Murdoch Books). 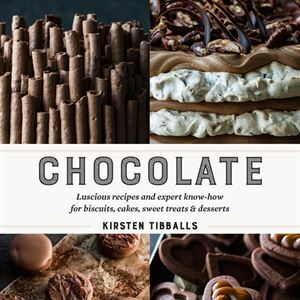 Photo Credits: Recipes and Images from Chocolate by Kirsten Tibballs (Murdoch Books).